YOU MUST READ AND ACCEPT our Terms and Conditions before you pay with Paypal. YOU DON'T GET THE INSTANT SERVICE WITH PAYPAL but you will need to wait until the end of the holding period (from 7-14 business days, excluding week-ends and holidays, depending on the location of the customer, usually 7 days if you are from US, EU, AU). If you need instant service, you should pay with Western Union or Money Gram. Do not pay with Paypal if you dont accept our "Terms and Conditions to pay with Paypal". Do not pay with your credit card directly on Paypal website, or you cannot complete this important step. You should sign up for a Paypal account, then add your credit card to that Paypal account and use it as the funds resource. Pay us only with your Paypal account. You can skip reading this and jump to the first step to pay with Paypal right away. Why the conditions ? Because Paypal does not protect our customers and our service. Paypal is fast. Really. We know that. But Paypal is also the most risky payment method in our industries. People have ALREADY paid us with STOLEN Paypal accounts and then when the real owners of the Paypal accounts opened a dispute, a claim with Paypal or filed a charge back with their bank or credit card issuers, we have lost our money and the hacked passwords. Then if you ask, yes, we are willing to accept the Paypal payment, but with a few conditions. You must agree with the following Terms and Conditions if you want to pay with Paypal. If you pay for the Once Hacking Package, you cannot hack Facebook ID, hack WhatsApp or hack all other chat app,.... You can hack only 1 Facebook account (with condition that you know the login email address) or hack 1 email account. Unlimited Hacking Package can help you to hack many types of account. Make sure to click Pricing link on the top menu of our site and read the full features of the Unlimited hacking package. You must pay $5 USD of Test Payment first. This is to verify if you can pay using our system and to prove that you are the real owner of the Paypal account. Click on the button below to pay. Note that the Test Payment is non-refundable or non-returnable. Once you have paid the Test payment, please submit Order to get the link to pay the full amount with Paypal. Or click the button below to submit Order. You will receive an email with the link to pay with Paypal. You MUST click on that link to pay. Once you pay with Paypal, wait for our reply. We are human, not robot, we have to manually mark the Shipping status as Processed in our Paypal account (see the step below) the so it may take a few hours until you get our response. 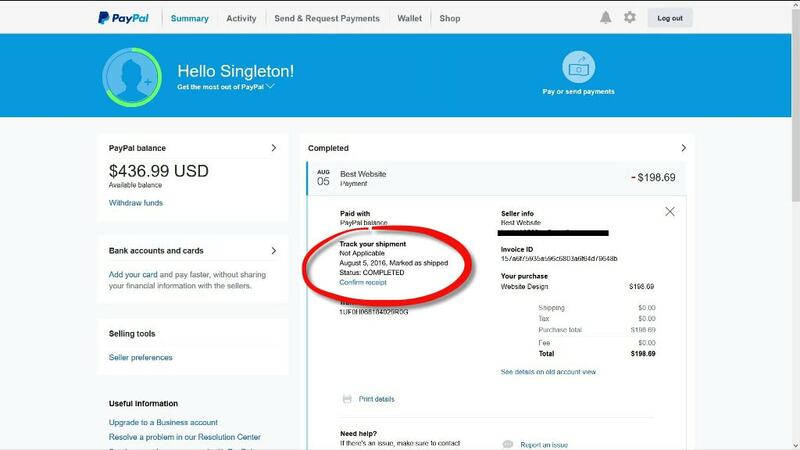 Once you pay, you MUST send us an email and give us the screen shot of the Transaction detail in your Paypal account. We dont need the screen shot of the Paypal receipt email sent to your inbox. We need the screen shot of your Paypal transaction in your Paypal account. Please login to your Paypal account to take the screen shot. You may need to take multiple screen shots if the transaction page is too long. We will then mark the Shipping status as "Processed" in our Paypal account upon receiving your screen shot. That process is manually handled by our team so please just wait until we get it done and send you an email. 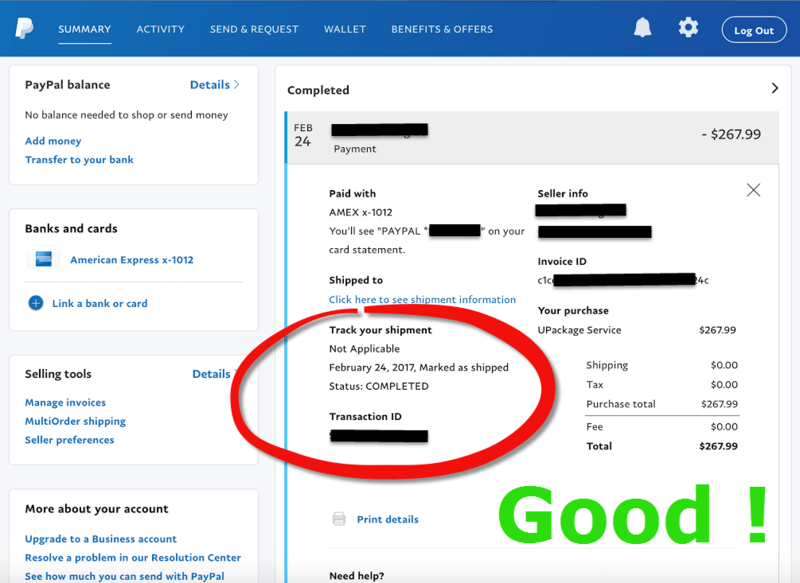 Paypal will also send you a notification about that change and display the shipping status in your Paypal account. Do you see the Confirm receipt link under that shiping status? We need you to click on that link, then click "Yes" when prompted to confirm the change. Send us an email with 3 screen shots before, while and after you click that "Confirm receipt" link. We will reply back stating that we will manually verify your payment within 3 days. We apply a holding time in the payment process to protect our customers and prevent fraud. 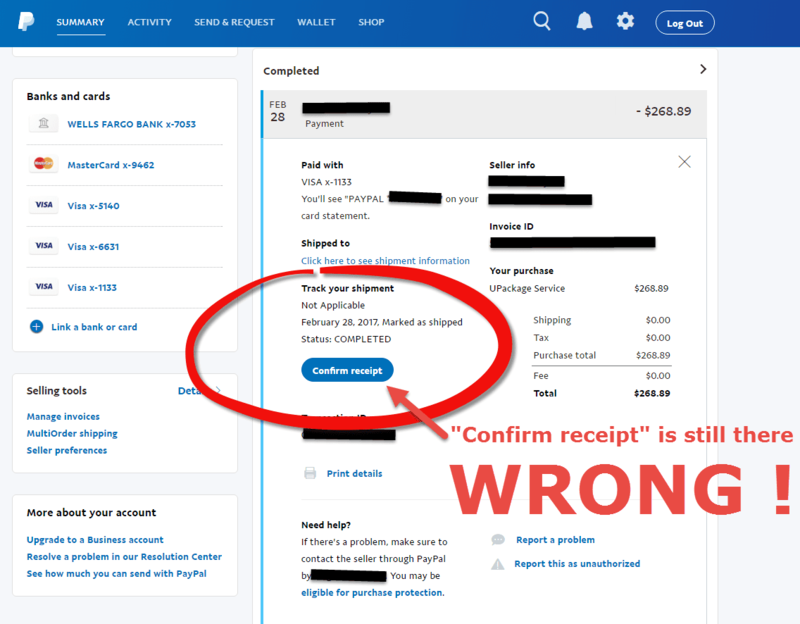 That waiting time is enough for us to send money back if we get a "refund request", a "dispute", a "claim", or a "charge back" from the real Paypal account owner. After 3 days of verification, your money will be added to your account balance on our site. And attention, you cannot use your account balance at this time, yet, but your account balance will be placed on hold for up to 21 business days, depending on your location and Paypal account. The exact holding time can be determinated only after 3 days of verification so expect our email to learn when your account balance is available to use. At the end of the holding period, you can use your account balance on our site to hack. As you may know, we cooperate with some spy guys at Facebook/Gmail/Email/Chat administrators team, who are looking into the account you want to hack. They want to make sure all payments are legit and so they don't waste their time to find the password for people who cannot pay. It's their requirement and they may charge you more if you need to speed up the process. However, we will do our best to help you to get the password before the end of the holding period. - Once you pay, login to your account on our site and click the button: "Notify us about your payment"
And at the end of the holding period, you can login to hack. 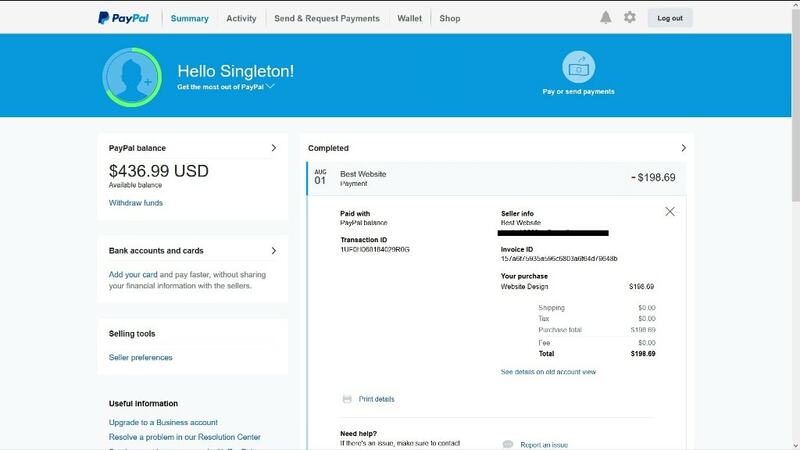 If that was your own Paypal account, just wait until the end of the holding period then you can use your account balance. We continue to verify your payment with Paypal and if we see any suspicious sign, we may refund the money. You will need to pay us again with the same Paypal account to prove that you have got the refund and are capable to pay with the same Paypal account again. This time, the process may be faster.